The latest installment of Jazz in the Park is scheduled for July 4-5. On July 4, performances will begin at 6 p.m. at Railroad Park. Headliners include the Birmingham Heritage Band. The group is based out of the Alabama Jazz Hall of Fame and they have more than 50 years of experience playing jazz music. They will be accompanied by Memphis, Tennessee-native Darryl Evans Jones. The following day, Jazz in the Park will relocate to Beacon Park in Irondale and feature Joshua David, a Birmingham native, Julian Vaughn of Kansas City, Missouri and the Alabama Jazz Hall of Fame All-Stars. 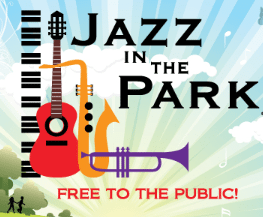 The Jazz in the Park series is an initiative presented by Magic City Smooth Jazz, a nonprofit dedicated to exposing and engaging audiences with various styles of jazz music in underserved communities. Both events are free to the public. For more information about the Jazz in the Park concert series, visit www.magiccitysmoothjazz.com.